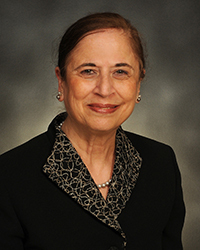 Rashida Khakoo, M.D., WVU Medicine infectious disease specialist and professor and section chief in the Department of Medicine, was selected to receive the 2016 Clinical Teacher Award by the Infectious Diseases Society of America (IDSA). The Clinical Teacher Award is granted to an IDSA member or fellow in recognition of a career involved in teaching clinical infectious diseases to fellows, residents, or medical students. The award recognizes excellence as a clinician and motivation to teach the next generation. Dr. Khakoo will be presented with the award at the national IDWeek 2016 conference held in October in New Orleans.